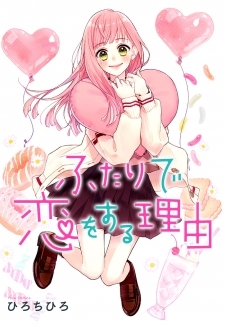 Futari de Koi wo suru Riyuu manga summary: In her first year of high school, Urara Andou fell in love at first sight with the kind stranger who saved her on the train. Too flustered to ask for his name or contact information, she swears to take action the next time she falls in love. But it turns out he's a senpai at her school!? Reunited, Urara believes it must be fate. But before she can take action, his childhood friend Misono-kun tells her "I won't hand Aiji-kun over to you." What will she do?